Our genes are programmed for health. Modern illness is due to environmental factors, not genetic ones. Dating back, our ancestors and surviving tribes did not die from the diseases of lifestyle that occur today. Did you know that 94% of all chronic disease is lifestyle related? Imagine all of the diseases out there that could be easily prevented with proper lifestyle and weight loss. By educating yourself and understanding which types of foods are unhealthy for consumption, you’ll be eating healthier in no time. WHAT EXCUSES DO WE USE TO NOT EATING WELL? WHAT WOULD HAPPEN IF WE STOPPED USING EXCUSES AND ATE WELL INSTEAD? Source: History of the Food Pyramid. 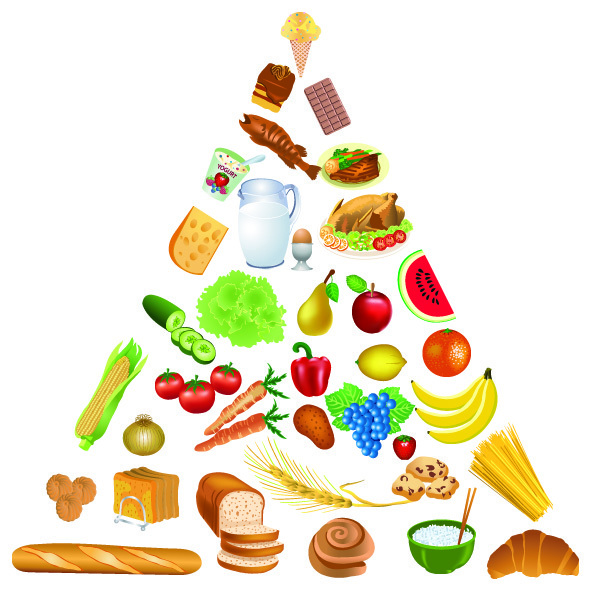 Believe it or not, but this is NOT what the food pyramid should look like anymore! As consumers, we need to “flip” the food pyramid.